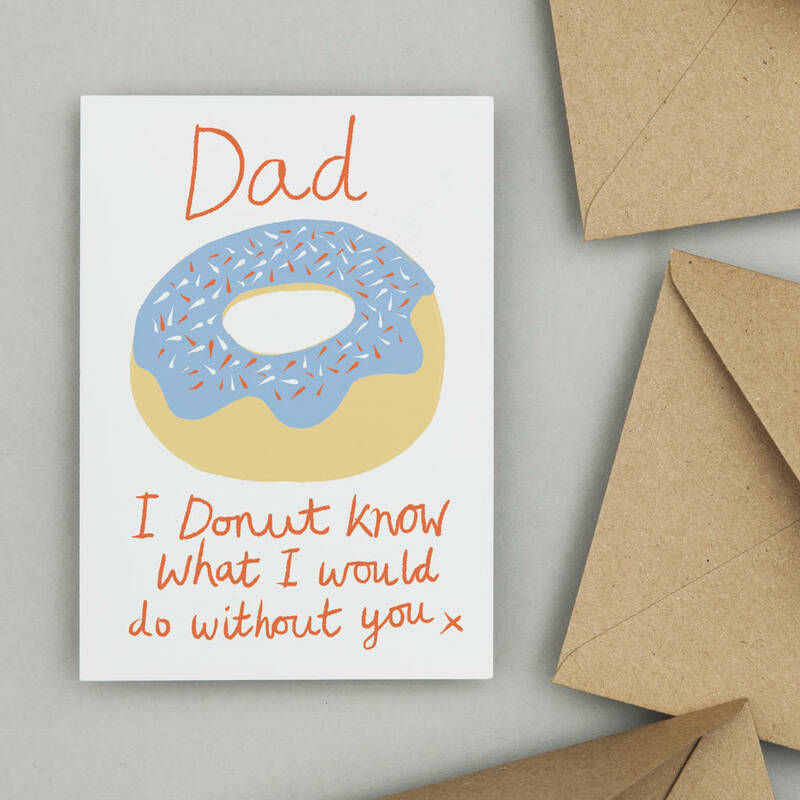 The sweetest card for Dad this Father's Day, our donut pun card is sure to make him smile. 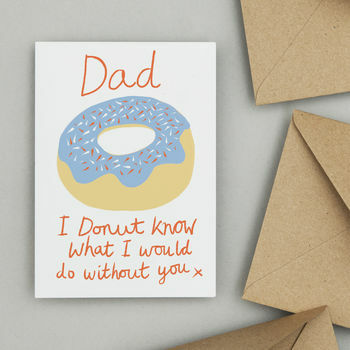 Featuring a delicious blue sugar ring donut illustration, this card reads "Dad, I donut know what I would do without you" in handwritten script. Perfect for a pun loving, donut munching pappa on his birthday or on Father's day. Printed on 300gsm matt card, supplied with an envelope.